Keep this freemium hit fully free by following these handy everyday tips. We don’t need to tell you that Pokémon Go is an absolute phenomenon—chances are you’ve seen the roving packs of people staring at their phones the last few days, capturing digital beasts as they wander the neighborhood. Actually, if the App Store rankings and social media hype are any indication, chances are you’re playing it, too. 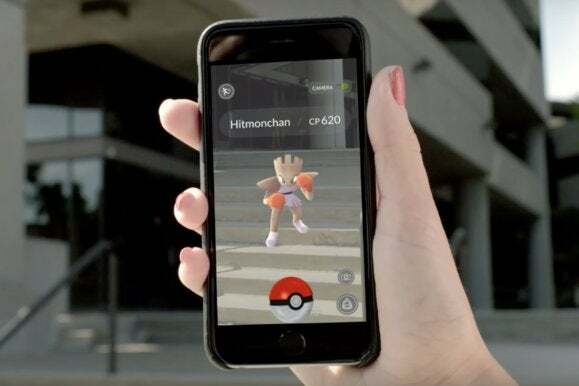 Like most major mobile games released these days, Pokémon Go is a free-to-play game: That means you can download it and play without spending a penny, but there are in-app purchases available that let you pump in real cash for advantages. And with a super-hot social game like this, the temptation to shell out for an edge can be tempting. True story: I took this gym away from one of my kid’s preschool teachers after I saw him pull it away from my faction. And then I quickly grabbed the rewards. 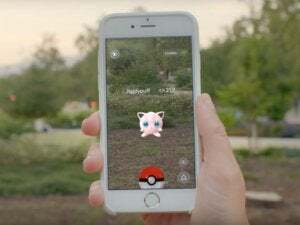 Luckily, you don’t have to spend money to have a good time in Pokémon Go, and if you take advantage of all the opportunities around you, then you can still earn coins and amass a heap of awesome Pokémon at a steady pace. Only want the free side of this freemium hit? Here are a few tips to follow. 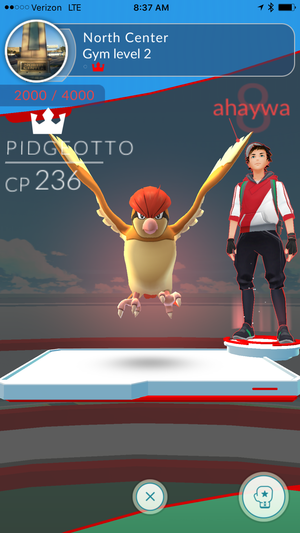 Defend gyms and reap the rewards: One of the cornerstones of the Pokémon Go experience is battling for nearby gyms, which might be placed at local statues, murals, monuments, or parks. Once you reach Level 5 with your character, you can choose a faction and battle against the Pokémon that protect each gym and try to take them back for your crew. 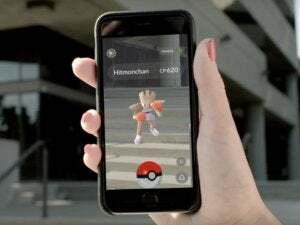 Depending on where you live, you might have trouble taking out the high-powered Pokémon installed by players with way more play time than you. Keep an eye out as you wander, though: You might stumble upon a gym occupied by a Pokémon with a low Combat Point (CP) rating, which means it’s more vulnerable to attacks. When you do, pounce and then put your Pokémon in charge. Don’t forget the crucial last step, however: You get daily rewards for defending a gym, and oddly enough, they’re found within the in-game store. See that little shield icon in the upper right of the store? If you’re defending at least one gym, tap that and get your reward. You’ll get 10 coins and 500 Stardust per gym, with rewards given for up to 10 gyms per cycle. Once redeemed, you’ll have to wait 21 hours to get more rewards, and the cycle begins anew. If you’re walking around and playing anyway, you might as well break a few eggs, right? Make sure you incubate eggs: Besides the early server issues, Pokémon Go’s biggest failing may be its near-complete lack of explanation for many game elements. That might give the game more mystery, but newcomers who aren’t searching web forums or social media may have no idea how certain game elements work. So here’s a heads-up: you’ve got eggs to hatch. You’ll pick up eggs from PokéStops and when leveling up, and you always have at least one incubator in your inventory. Make sure you have an egg in it! To access the eggs, tap the PokéBall at the bottom of the screen, go to the Pokémon menu, and tap the Eggs banner up top. From there, simply tap an egg, pop it in an incubator, and it’ll begin the process. 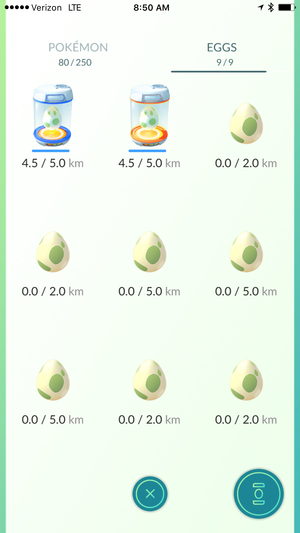 Each egg will hatch once you walk the noted cumulative distance with the app open, whether it’s 2km, 5km, or 10km, and then you’ll get a free Pokémon in the process. Maybe it’ll be a rare one! You won’t know unless you try. Mooch off of others’ lures: Why are Pokémon Go players found in packs, even though the game doesn’t have any direct social or trading elements (as of now)? Because of lures. 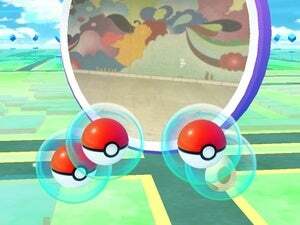 When placed onto a PokéStop, a lure item will draw nearby Pokémon to that location at a rapid rate, ensuring you don’t have to wander far to bulk up your roster. Neighborhood hotspots are often good places to find active lures. Hang around a bit and grab as many Pokémon as you can! Better yet, a placed lure works for everyone: That spot on the map becomes ground zero for Pokémon for 30 minutes. So why not benefit from someone else’s willing expense? Keep an eye on your map when playing and look out for the PokéStops that have little pink flower pedals floating around them—that means it has an active lure, and you have a limited amount of time to take advantage of it. If you live in a busy city, it’s likely that you’ll find active lures all around. 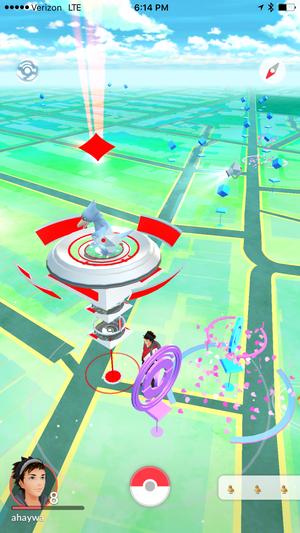 And if there are intersections or areas that have multiple PokéStops in very close proximity, players often drop lures in multiple spots to take advantage of the terrain. Each lure costs $1 worth of coins in real money when bought individually, but if you see an activated PokéStop nearby, you might as well take advantage of the free opportunity. Also, if you haven’t already used them, you should have at least a couple of incense items in your inventory. Incense isn’t a social item, meaning other people can’t benefit from your use of it, but you’ll still be able to draw Pokémon near with minimal effort. That’s ideal for when you’re stuck at your desk at work, or don’t want to leave the couch at night. Grab the goods from every PokéStop you pass! Hit every PokéStop on your route: If you walk or take public transportation to work, home, school, or anywhere else during your day, fire up Pokémon Go. The passive social play design means you don’t have to pay constant attention to the screen, so anytime can be playtime. And if you want to stock up on items without spending money, you should make sure you’re hitting every PokéStop along the way. 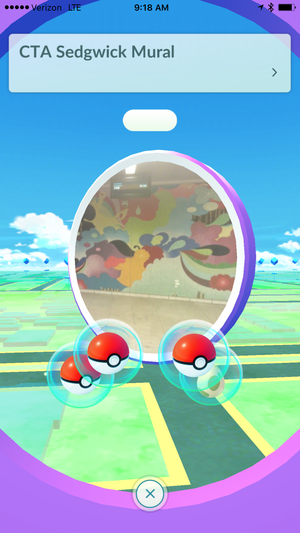 You’ll find markers all around the world, and when you’re nearby, you can tap on each and spin the image of the store, mural, statue, or landmark. Doing so nets you free Poké Balls and other items, and you’ll quickly amass loads. There’s little need to spend money on basic items when your everyday commute or a nice evening stroll can load you up. You’ll also get a small bounty of experience points, which gradually level up your character and help you encounter more powerful Pokémon down the line. And about 10 minutes after your visit, the lock on the PokéStop is freed up, meaning you can visit again for even more items and experience. If you’ve got a roundtrip walk to a store, for example, you can hit all the PokéStops on the way there and then all over again on the way back. Gotta catch ‘em all, right?